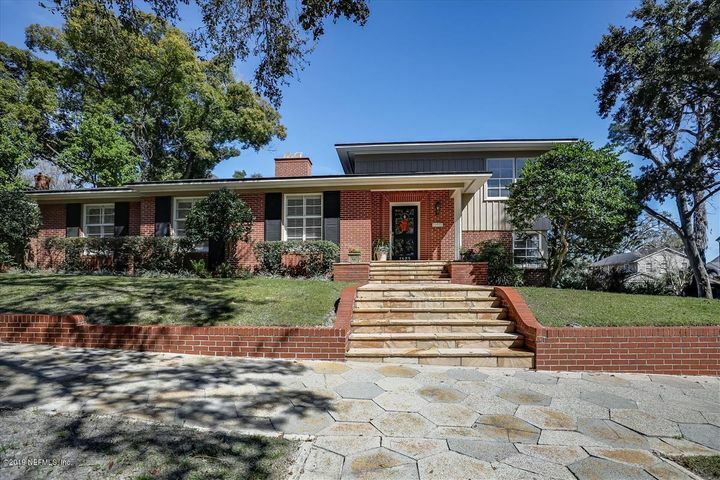 Beautiful Spacious POOL Home In Historic Avondale. Located On One of The Most Desirable Streets in North East Florida. A Block from the Shops Of Avondale and Just Steps Away from the St. Johns River. This Lovely Home Features an Updated Kitchen with Newer Appliances, Granite Counter Tops, Flagstone & Hardwood Flooring Through-Out, Large Living & Dining Room , Freshly Painted Exterior , Updated Master Bedroom & Bathroom, Oversized Bedrooms Have Their Own Full Baths. Large Downstairs Bonus Room with Full Wet Bar & Monogram Refrigerator and Study. Home Also Offers Outside Living At its Finest with a Built in Fire Pit and Plenty Of Room To Entertain Poolside. Must Have Confirmed Appointment.